The National Association of Home Builders (NAHB) Wells Fargo Housing Market Index (HMI) report for April shows that builder confidence slipped by two points to a rating of 42 from the March reading of 44. The Housing Market Index (HMI) measures home builder confidence in market conditions for newly built single family homes. A reading of more than 50 indicates better than average confidence, while readings below 50 indicate that home builders have concerns about current market conditions. Home builders expressed concern over a gap between a growing demand for homes and builders’ ability to meet the demand for new homes as housing market conditions improve. Supply chains for building materials and available developed lots are also impacting home builder confidence, as they have been lagging behind increasing demand for homes since the recession and will need more time to catch up. While builder confidence fell on a month-to-month basis, home builders have a more positive outlook for the next six months. The builder confidence reading for the next six months came in at 53 for April, which is the highest reading since February 2007. In terms of demand for newly built homes, the home builders surveyed said that a shortage of existing homes, low mortgage rates and increasing consumer confidence are expected to improve the market for existing homes. 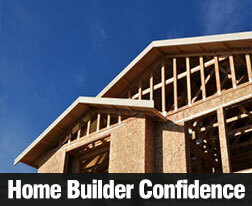 Consumer confidence is important to all facets of the home building and mortgage lending industries. Buying a home is typically the largest investment that consumers make, and their confidence in the economy plays a role in their decisions about when or if they buy a home. Regional readings for housing markets are based on a three month rolling average. Northeast: The reading of 38 is unchanged from March. Midwest: The reading declined by two points to 45. West: April’s reading declined by three points to 55, but remains in positive territory. Regional readings reflect conditions impacting only a specific area of the U.S. Recent examples include the impact of Hurricane Sandy in the Northeast, and an ongoing lack of land available for home construction in the West. Mortgage rates saw little change last week amidst mixed economic news. Treasury auctions held on Tuesday, Wednesday and Thursday saw weak demand; this could have been caused by the FOMC minutes that were released on Wednesday. 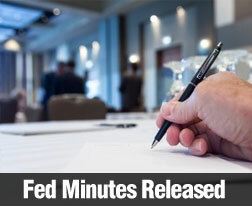 The minutes indicated that some FOMC members supported ending the current quantitative easing (QE) program within a few months. The Fed is currently purchasing $85 billion monthly in bonds and Mortgage Backed Securities. If the QE program is ended, demands for bonds and MBS will decline, which usually raises mortgage rates. 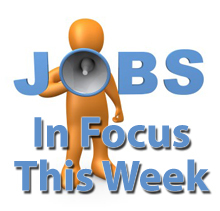 Thursday’s jobless claims offered some positive news. Jobless claims fell to 346,000, which is well below Wall Street’s estimate of 365,000 jobless claims and the prior week’s report of 385,000 jobless claims. As more people find work, more families become able to buy homes. Demand for homes will boost the housing market, which is already expanding in many areas. While higher home prices are good for the economy, higher mortgage rates may be likely to follow. This potentially presents a “double-edged sword” to home buyers with little financial flexibility. Retail Sales, which represent approximately 70 percent of the U.S. economy, moved from February’s level of 1.1 percent to -0.4 percent in March. Expectations were for 0.0 percent change. The Retail Sales report exclusive of the volatile automotive sector was nearly identical except for the February’s reading of 1.0 percent. These reports suggest that while the economy is improving in some areas, it has a way to go before it has truly recovered. This week, investors will be paying attention to the Consumer Price Index (CPI) and the closely-related Core CPI, which is nearly identical except for its excludes the more volatile food and energy sectors. These reports will be released on Tuesday for March, with little change expected for the CPI and no change expected for the Core CPI as compared to February. The CPI is considered an important indicator of inflation. Unexpected changes in inflationary growth can cause rapid and volatile responses in the financial markets. Wednesday brings the Fed’s Beige Book, which presents key economic data for each of the Fed’s 12 regions. Investors watch the Beige Book for signs of the Fed’s position on economic policy during the upcoming FOMC meeting. Jobless claims will be released Thursday with the expectation of 350,000 claims filed as compared to last week’s 346,000 jobless claims. If the thought of cleaning your home this spring doesn’t bring a smile to your face, you’re not alone. 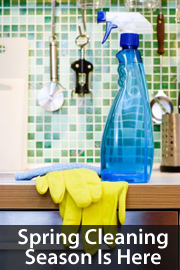 To help you get going now, here is a short list of the 6 essential spring-cleaning chores. It’s time to pack away your winter clothes. Coats, sweaters, and bulkier clothing need to be inspected, cleaned and packed away. Store your clothes somewhere clean, cool, dark and dry. You’ll be surprised at the huge amount of dirt and grime that a thorough window cleaning removes. Wash blinds, launder curtains that are machine washable and send drapes to the dry cleaners. While you’re at it, dust the window casing, wash your windowsills and clean any window hardware. 3. Clean carpets and upholstery. You need to deep clean your fabrics that have absorbed a winter’s worth of dust and germs. Shampoo your carpets and clean cloth furniture. Open windows to speed the drying process, which can take a day or more. 4. Wash woodwork, walls, baseboards and cabinets. Even if the walls of your home don’t look like they need cleaning, they do. Just enough dust clings to vertical surfaces to warrant a seasonal bath. Using a sponge and dish-washing soap, wash the surface in sections to make sure you don’t miss a spot. 5. Clean light and ceiling fixtures. To clean your light fixtures, remove the light bulb and fixture if possible. Wash the glass fixtures in soap and water. Wipe the light bulbs with a rag. If the fixture cannot be removed from the ceiling, use a damp cloth to wipe it off and then dry the fixtures. The easiest way to clean your ceiling fans is to use a vacuum with a soft nozzle attachment. Caked-on dust can cause your refrigerator to overheat, so take the time to clean the condenser coil. It’s usually found behind the toe grille. Clean it with a long-handled bottle brush and a vacuum cleaner with a hose attachment. Put on your favorite music and start your spring cleaning today. It’ll be done before you know it. Then you can relax and enjoy your sparkling clean home. If you’re getting ready to sell your home and need more cleaning tips to help smooth the sales process, call your favorite licensed real estate professional today! The minutes for the Federal Open Market Committee (FOMC) meeting held March 19 and 20 were released on Wednesday April 10, 2013. These periodic meetings by the FOMC cover a wide ranging group of topics that impact the overall economy in the United States. The decisions made and acted upon from the FOMC meetings often sway the real estate and residential financing markets. The unemployment rate fell to 7.7 percent in February. While lower than the average unemployment rate for Q4 2012, the rates of long-term unemployment and part-time employment for economic reasons saw little change, and both measures remained high. This suggests that the economy is improving in some areas, while others including employment are not so quick to recover. U.S. housing markets continued to improve during the inter meeting period, but construction of new housing faced obstacles including tighter credit and in some areas a lack of available building space. While housing prices are improving, employment rates and wages will also need to expand for consumers to keep pace with rising home prices. Some of the Fed Meeting participants continued to be very positive about the prospects of the real estate sector noting rising home prices and demand. At the same time, an overall tone of restraint and caution was expressed regarding the continuing purchase of Mortgage Backed Securities (MBS). Any slowing in the Fed’s commitment to their previous levels of MBS purchases may create upward pressure on home mortgage interest rates. Household expenditures rose modestly during January and retail sales, excluding auto sector, increased at a strong pace in February. Sales of light autos also rose. Household wealth also increased for homeowners due to increases in home values, which is good news for current homeowners and may be an incentive for new home buyers to move forward and purchase real estate. The FOMC minutes suggest that the Fed is not likely to end its quantitative easing (QE) program immediately, but the first quarter of 2014 was cited as a potential date for the program to end. Gradual decreases in the Fed’s purchases of bonds and mortgage backed securities are expected before QE ends, and this could cause mortgage rates to rise as MBS prices fall. The Bureau of Labor Statistics (BLS) issued its Job Openings and Labor Turnover report for February on Tuesday, June 9th, 2013. The data was mixed with preliminary figures for all non-farm jobs increasing from 3.62 million jobs in January to 3.93 million jobs in February. This was the highest month-to- month increase in jobs since May 2008. Non-farm jobs increased by 399,000 jobs from 3.53 million in February 2012 to 3.93 million jobs in February 2013, an increase of 10.2 percent year-over-year. More jobs generally means higher incomes and stability which enable more families to buy homes and qualify for mortgage loans. Hires between January and February 2013 rose from 4.30 million to 4.43 million hires, an increase of 2.70 percent. Hires between February 2012 and February 2013 fell from 44.9 million to 44.2 million, a decrease of 1.6 percent. Total non-farm job separations changed little month to month, and remained exactly the same year-over-year at 4.20 million separations. Numbers of hires and separations surpass job numbers due to workers being hired on and/or separated from more than one job during the reporting period. Northeast: Non-farm jobs fell from 688,000 jobs in January 2013 to 647,000 jobs in February 2013, but increased year-over-year from 589,000 jobs to 647,000 jobs. South: Non-farm Jobs fell from 1.56 million jobs in January 2013 to 1.50 million jobs in February 2013. Jobs increased year-over-year from 1.34 million jobs in February 2012 to 1.47 million jobs in February 2013. Midwest: Non-farm jobs grew from 712,000 in January 2013 to 780,000 jobs in February 2013 and increased from 740,000 jobs to 780,000 from February 2012 to February 2013. West: Non-farm jobs increased from 806,000 to 830,000 between January and February 2013; on a year-over-year basis, jobs showed noteworthy growth from 650,000 jobs to 830,000 jobs between February 2012 and February 2013. Improving labor data indicates that the economy is on the mend, but this could cause mortgage rates and home prices to rise as the economy expands. A gradual economic recovery suggests that home buyers and others seeking lower mortgage rates and refinancing can still find favorable mortgage terms. But it would likely be best to take advantage of the still historic home purchase and financing opportunities that are available today. Contact your trusted, licensed real estate or mortgage professional today to learn how the growing economy can benefit your family as well. Should You Fix And Flip Or Buy And Hold Your Investment Real Estate? When you make an investment in real estate, it’s important to consider your options for turning a profit even before you write an offer. It might be best to rent out the property to cover your mortgage and build equity providing the home cash-flows with solid rents and demand. 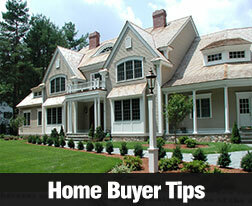 Or, you could fix up the home and flip it so that you can sell it quickly for a larger amount than you invested. Both strategies may be appealing options, so here are some important factors to consider before making your decision. Flipping a house can be tricky, so you will want to have enough experience to know what you are doing, or work with an experienced advisor who can guide you around the most common pitfalls. If you are thinking about fixing and flipping a house, you will need to have enough capital to invest in the property so you can make the required improvements and repairs. Many people find themselves short of working capital after closing on the new purchase. It is important to factor in carrying costs, or monthly mortgage payments while fixing the home, into your overall budget. Do your research so you’ll know what renovations will have the most impact on the value of your real estate. You will also need to know if the market in the area will support your new price point. Make sure your flip property is in a very buyer-friendly community for your best chances of a positive return. Flipping a house gives you quick cash, but renting it out instead may give you monthly cash flow and a potentially larger long-term profit if the property appreciates over time. If you don’t mind being a landlord and you have the time to screen for reliable renters, then renting out the property might be a better option for you. This option also means that you will have the home later on in case you want to live in it. Of course, don’t forget to factor in additional upkeep costs, such as repairs, utilities and property taxes. 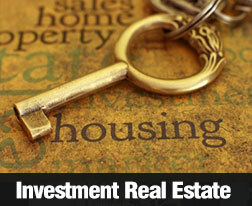 Investment real estate has consistently been considered a solid way to get your money working for you. Whether you rent out or flip your investment property will depend on whether you are interested in a long-term investment or a short-term project. A great next step while you are planning your investment real estate purchase would be seeking the advice of a qualified, licensed real estate professional. 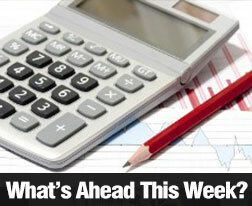 Last week’s economic news includes several factors that drove U.S. mortgage rates lower. The Bank of Japan announced that it would increase its purchase of bonds by $1.4 trillion over the next two years. This news caused yields on Japanese bonds to fall, which made U.S. bonds more appealing to international investors, that in turn increased MBS prices and caused mortgage rates to fall. Other significant economic news involves an unexpected drop in the number of new jobs created last month. The Bureau of Labor Statistics (BLS) Nonfarm Payrolls Report issued Friday indicated that 88,000 jobs were added in March, which fell considerably short of the expected 190,000 jobs added as well as the 236,000 jobs added in February. Average hourly earnings remained flat against February, which indicates another stall in U.S. economic growth. Expanding employment sectors for March included professional and business services and healthcare, while retail jobs decreased. Jobless claims increased last week in concurrence with lower than expected jobs added for March. New jobless claims came in at 385,000 and were higher than expectations of 345,000 new jobless claims and the prior week’s jobless claims of 357,000. The monthly unemployment rate fell from 7.7 percent to 7.6 percent, but this isn’t encouraging news. According to the BLS, the unemployment rate fell due to workers leaving the work force instead of workers finding jobs. Next week, Treasury Auctions will be held Tuesday, Wednesday and Thursday. On Wednesday, the Federal Reserve will release FOMC minutes. Investors and analysts review the minutes for predicting future economic developments and also for gauging the Fed’s sentiment about how or if changes should be made to the current quantitative easing program (QE). The current QE program involves the Fed’s monthly purchase of $85 billion in bonds and MBS is intended to keep long-term interest rates including mortgage rates low. Retail Sales will be released Friday, and as indicated by falling job numbers in the retail sectors, analysts are expecting no growth for March in either report. Global news concerning North Korea and the European Union economic situation could also move U.S. markets up or down depending on the nature of the news. While not encouraging in terms of an economic recovery, these events show that the recovery is proceeding with ups and downs; this doesn’t provide investors a clear picture and may cause them to seek safe haven in bonds. The good news for homeowners is uncertainty and low expectations of the financial markets typically help keep mortgage rates lower. 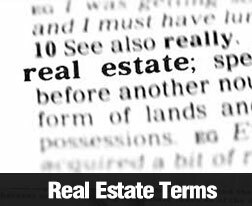 When looking to buy or sell real estate, confusing terminology can leave you feeling somewhat uneasy. From a multitude of numbers to marketing jargon, property listings can provide you with an overwhelming amount of information — and it’s hard to know what’s important. So, brush up on the terms below and don’t get fooled this April. This is an important number to pay attention to when choosing a real estate professional to sell your home. The percentage is calculated by what a home was initially listed for, divided by the actual sale price. The closer an agent’s percentage is to 100, the better. If it’s low, that could be an indication that they routinely list homes too high, or you may be in a slow market which would favor the home buyer. On the other hand, if it’s high, it could show that your agent markets their listings well and your market might favor home sellers. The median days on market is the midpoint of how many days it took for homes in that area to sell. If it’s 30 days, then half of the homes sold quicker and half took longer than 30 days. If you compare the real estate you’re considering to its area’s median days on market and you find that it’s been on longer, the sellers might be willing to take a lower offer. Properties are listed as distressed when the owners have defaulted on their mortgage loans or are about to. As a buyer, you might be able to get a good deal on a short sale or a foreclosure, as banks many times list them below market value to try and recoup some of their loss and clear the property from their books. If you find your dream home and then notice that it has a pending status, brace yourself for disappointment. An active status on a home means the owners are accepting offers, while a pending status indicates that they’ve already accepted an offer. If you know it’s the one for you, you can still place a bid in case the first offer falls through. While there are many new concepts and terms you will learn when purchasing your new home, the benefits of home ownership far outweigh any fear that you may have. If you’re looking to purchase a new home soon, please contact a licensed real estate professional who can cut through the jargon and find the home of your dreams. The Federal Housing Finance Agency (FHFA) recently announced a new, streamlined home loan modification program to help home owners who are behind in their payments or own a home with a mortgage that is under water. The purpose of the recently announced program continues to focus on helping troubled borrowers avoid foreclosure and stay in their homes. Beginning this summer, on July 1st to be exact, the new Streamlined Modification Initiative will be available to home owners that meet certain criteria. Interestingly, this new program will require home loan servicers to provide eligible home owners whose loans are owned or guaranteed by Freddie Mac or Fannie Mae with a 90 day trial modification without requring financial or hardship documentation. The terms of this new program have been disclosed as a way for borrowers who are at least 90 days past due on their mortgages to convert their home loan to a fixed rate mortgage with the term of the loan extended to 40 years for the lowest amortized monthly payment. Eligible borrowers will receive this short term modification program in order to show “good faith” by making 3 on-time monthly payments. 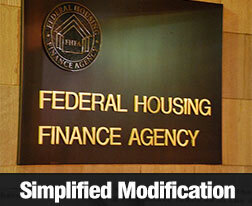 Upon successful completion of this trial modification period, the Streamlined Modification Initiative will direct the loan servicer to extend the home loan modifcation permanently. The new home loan modification program was developed to become an alternative to the already established Home Affordable Modification Program (HAMP). One important note is that homeowners who continue to investigate all loan modification options with their loan servicer may save even more than the savings offered through the new Simplified Modification Initiative. Language in the Streamlined Modification Initiative mentions that some home owners who are under water with regard to their mortgage may be entitled to principal reduction as a component of their home loan modification. The specific details and criteria for these principal reductions have not been specified, although contacting your trusted, licensed mortgage loan professional would be an excellent way to uncover the details. It’s a great time to buy a new home because there are quite a few homes for sale and interest rates have continued to stay comparatively low. Whether it’s your first time purchasing real estate or you’re a seasoned professional, here are a few tips to make shopping for a new house more pleasurable. Searching through all of the available properties on the market can be mind-boggling. Find a professional real estate agent to help guide you through the homes for sale and select one that meets your family and financial needs. Finding the perfect house can take longer than you might think, especially if you’re looking in a competitive market. If you’re looking at getting a good deal on a foreclosure or short sale, then these transactions can take even longer because you’re likely waiting on the bank to make the final call on your purchase transaction. Try to be patient. The more thorough you are in your search, the happier you’ll be in the long term. Searching for a house can be extremely emotional. If you think you’ve found the one, then take a step back, consult your real estate agent and go over your housing checklist one last time before writing an offer. Almost any property will need a few improvements; even newly constructed houses usually need improvements like landscaping. Sellers are more savvy now about how to make cosmetic changes to catch a buyer’s eye, so look carefully. There will still be things you want to change, so weigh the difference between the cost of those repairs and the sales price of the home. If you really want a house even though it’s going to take a lot of work, make your offer accordingly. Having financing done in advance makes the process of buying homes for sale much easier because you’ll know how much you can afford. Your loan officer can also help you determine what your monthly payments will be based on how much money you borrow. A great first step is to consult with a licensed mortgage financing specialist to go over the available programs and terms available in the area. You are currently browsing the KeithSargent's Blog blog archives for April, 2013.